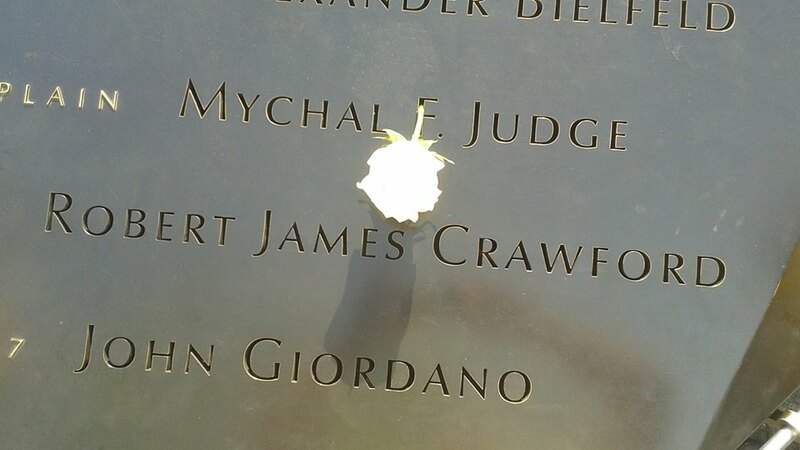 Miles mediator Chris Annunziata has close ties to 9/11 and a very touching story to share. His parents visited Ground Zero and the 9/11 Memorial earlier this year. 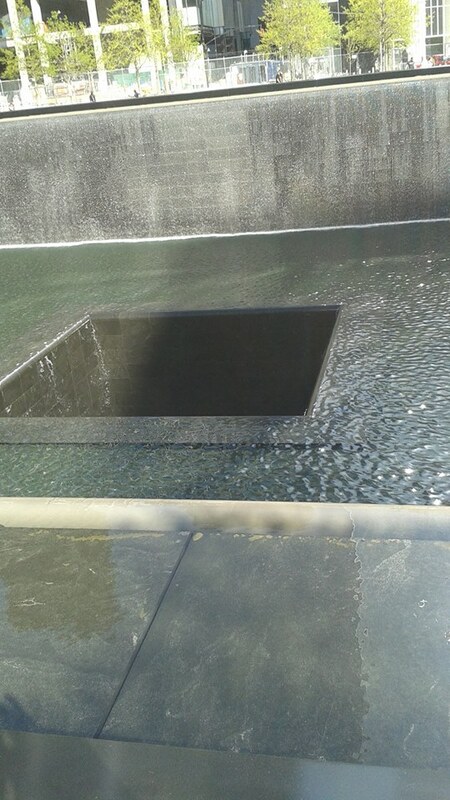 Our family was particularly touched by 9/11 in several ways. My entire family was in lower Manhattan that Sunday, September 9th. Melissa, my sister Dawn, her husband Ken and I took the water taxi from New Jersey into the City that morning. We walked through the World Trade Center, discussed the possibility of and eventually decided not to visit the observation deck (even though it was one of the most beautiful days I can remember – a warm early fall day with not a cloud in the sky). While most of us left that Sunday night or Monday my father was in Newark Airport waiting for his flight back to Florida on Tuesday, 9/11. He watched the towers fall from just across the river. That was a harrowing few hours waiting to find out if he was safe. Finally, the man named in two of the pictures, Fr. 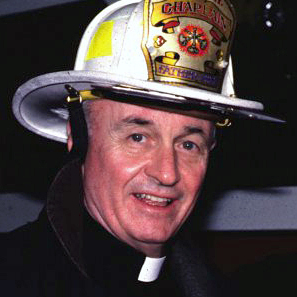 Mychal Judge, was our parish priest and family friend when I was growing up in New Jersey. The flower stuck in his name meant it was his birthday the day the picture was taken. Fr. Mike, as we knew him, was every last bit the stereotypical Irish priest. Full of the gift of the Blarney Stone. Like all Franciscans, he took a vow of poverty and I remember that he wore sandals made from recycled car tires and jeans under his habit. He was compassionate, kind and radiated serenity. If you let him, he blessed everyone he met. He was special. After his stint as our priest, he took several other posts before ending up as one of the NYFD’s official chaplains. It was in that role that the World came to know Fr. Mike.